We are a local family run Aerial Installation and Satellite TV business. Established in 1984 we have a wealth of experience in all aspects of TV, Aerial and Satellite systems. Through our dedicated and professional service, we have a reputation for delivering high-quality workmanship. We pride ourselves on excellent customer commitment and service. We’ve been installing TV Aerials for many years, and we also naturally prgresseed to Sky and Freesat. We are now one of the midlands leading Sky, Freeview, and Freesat installers and suppliers. 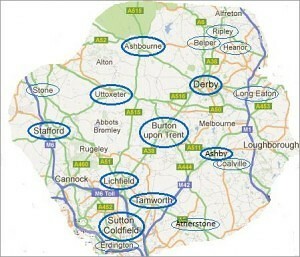 Our offices are based in Burton on Trent, but we have engineers throughout the midlands on a daily basis. This enables us to cover all of the East and West Midlands areas within a radius of 25 miles. 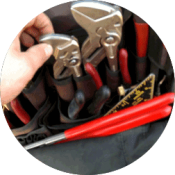 Out friendly engineers are fully experienced in all types of TV and Satellite Installation, and can fit, supply, or repair your TV or satellite equipment. We are now offering CCTV and Security cameras for home and commercial properties. Everything you need for Freeview and Freeview HD. We supply and install Aerials, Receivers, Recorders, cabling and installation. 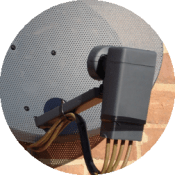 We are an authorised Sky dealer, and can supply and install all Sky equipment including, receivers, Dishes, and Broadban packages. 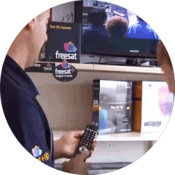 We supply and install Freesat satellite TV systems and can provide you with all equipment, dishes, and cabling. Freesat is very popular for receiving European channels. Aerial and satellite dish repairs and re-alignment. Advice and support for your existing installations. We supply, install and fix any type of TV or Satellite installation to homes and business. From a simple Freeview box to a full multi room AV installation, we can provide all equipment, installation, and repair services in your home or business. Whether this is in an aerial installation, a cable repair, or a simple recalibration. 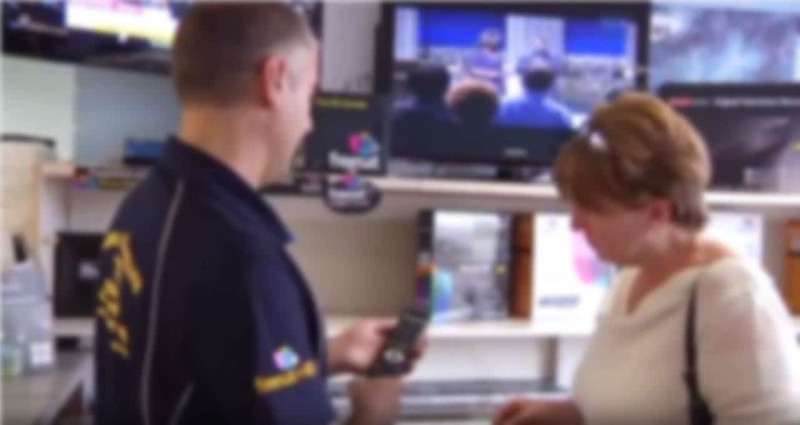 BAS Digital are known locally as Burton Aerial Service, a respected and well known TV and Aerial Business of many Years. We offer Freeview, Sky, Freesat and all aerial installation and services.